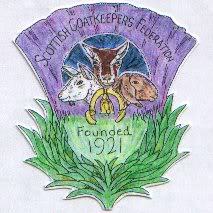 In a nutshell I am wondering if there is anyone in the Ross-shire / Sutherland areas that might have a goat or two that may like to munch their way through a mass of Docks, nettles, grass and a diminishing quantity of ragwort ? I have a place outside Tain and have some land which is grazed by 3 very small horses (1xfoal), but they don't eat any of the above and so it has got very out of hand. I am doing what I can to reduce the ragwort by flamethrower and in the northern section of land are all the very tall docks and nettles. Do you have goats that you might like to loan to me to help reduce my weed jungle ? I have DEFRA on my back about it all (I have been south and had no idea that things had got so bad, so quickly!). I have until the 26th July before they do their next inspection, but with things much improved, I think they will grant a small extension if necessary. I cannot afford some contractor coming in and charging the earth, so I am doing all that I can to sort things out as quickly as I can. I have a total of 1.45 acres, I have a concrete 'stable' that 14ft high by approx 16x12ft ish! I have ad-lib hay from huge round bales and fresh water. I can supply an electric fence or they might escape ! The dock area has several large trees and my corner paddock has less weeds is a mix of open and tree areas. I can divide off the 3 paddocks, if necessary. If you can help, or think that you may know of anyone, please let me know as soon as you can. Although I have a horse box I flew up so have no car here (that's roadworthy anyway ! ), but we might be able to use it to help with transport.